This is the home you have been searching for and seeing is truly believing. The moment you step inside you will feel the warm sense of care and family. 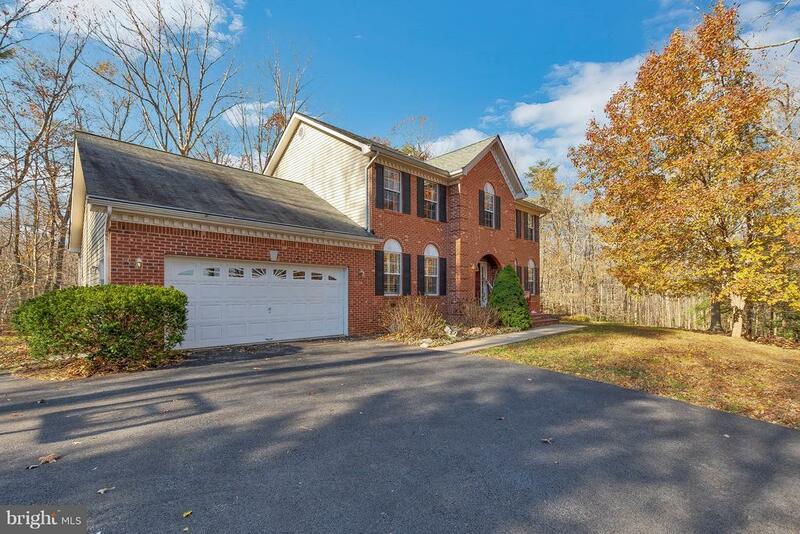 This gorgeous home offers 3 acres of scenic privacy with so many features to include: Large custom kitchen that will accommodate large gatherings and family occasions with ceramic tile, custom granite counter tops & ceramic back splash, new appliances. Spacious rooms including separate dining room with hardwood floors, the living room had been converted into a classroom but can easily be transformed into a living room if desired. The large family room off the kitchen offers a gas fireplace. The owners have offered many new upgrades including new carpet, new ceramic tile in baths, new paint throughout New light fixtures, New door handles throughout, New door hinges throughout, New locks, New floors in half bathroom, New half bath cabinet, New half bath fixtures, New half bath mirror, New toilets in all baths, Fireplace remodel, Stairs updated, New paint throughout house, Updated master bathroom cabinet and handles, New dishwasher, New refrigerator. Trex Deck has recently been updated from past sellers. Please take a look at the virtual 3-D tour. No HOA!!! Centrally located to be in any of the surrounding counties within minutes. Easy commute to DC & VA. Call to learn more.- Please note the sellers were planning to add a pool this spring and have had a pool company come by and the lot will sure a pool also. Directions: From Hughesville, take 231 towards Calvert, Turn left onto Brandywine Road by Jimmy's Corner, make a left onto Ivy Lane, Follow straight and take Mystic place, home will be on the right. Look for directionals and sign on the property.